It’s a question many novice dog owners ask themselves as they look at their new wriggling pup and the shiny new Dog Shock Collar they’ve bought with hopes of transforming an undisciplined bundle of canine energy into a well-behaved, well-mannered member of the family. According to veteran dog trainer Rob Dunn of Triple Crown Dog Academy in Hutto, Texas, the next step may be the most important in the dog’s development. Because an improper introduction to the training collar can permanently affect a dog’s ability to respond to training, proper initial use is a crucial step in developing a mannered, disciplined dog that’s ready for the field, competition or just to take on the role of the family pet, Dunn said. The first step in the introduction process is to determine the correct level of stimulation for your dog. To do this, Dunn said, first place the collar on the dog with the receiver securely below the dog’s lower jaw. The collar should be snug enough to make positive contact, but not so tight that it causes the dog discomfort or restricts its movements. Next, take the dog on a leash to an enclosed area that’s large enough to let him wander. Once his attention is diverted, begin introducing the stimulation starting at the collar’s lowest level. 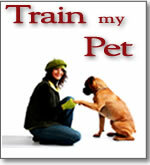 If the dog shows no signs that he can feel the stimulation, bump it up to the next level. Higher levels are then introduced until the dog begins to respond. Because response can be as subtle as a slight turning of the head or scratching at the collar, the owner needs to be particularly observant, Dunn said. If the dog responds by crying out, whimpering or barking, the stimulation is too high and should be reduced. “You want to have it at the lowest level possible without causing the dog to panic or vocalize,” Dunn said. When the proper stimulation level has been determined, you’re ready to begin training. No matter what kind of dog he’s training or the age of the dog, Dunn said he begins the training process by teaching it to come to him on command. To begin this training, he returns the dog to the same confined area he used to introduce it to the collar. But this time, the dog is outfitted with a 30-ft. lead as well as the remote training collar. The dog is permitted to wander away and become distracted. Dunn then gives the dog the recall command that he wishes to use to get him to come to him while activating the collar in the continuous stimulation mode and gently coaxing him with the leash. “What we’re trying to do is teach the dog how to shut off the stimulation,” Dunn said. “Because the collar is non-directional some dogs will just scratch at it or start to walk away. That’s the reason for the 30-foot leash. As soon as the dog starts to come to me, I turn the stimulation off.” The dog is then praised and rewarded for his response. This initial training should take place in the same enclosure until the dog begins to show a basic understanding of the command and the leash is no longer needed. Because this could take several days and many repetitions, trainers need to be patient, Dunn said. Once the dog is responding positively, training should be moved to a new enclosed location. Another back yard, a tennis court or any other fenced enclosure can be used, Dunn said. Because dogs respond differently in a new location, the training leash should be reintroduced at this time until the dog once again responds to the recall command. As the dog begins to gain confidence, training should be moved to three or four new sites to ensure he fully understands the command, Dunn said. From there, new commands such as sit, place, heel and down are introduced to the training regimen. The biggest mistake people make when training a dog to return on command, Dunn said, is they assume the dog somehow already knows what the command means prior to the training. Instead, the owner should show and direct the dog so they have a basic understanding of what the command means. “They tend to believe he already knows the recall command, so they put the collar on him, send him outside and call him back. When he doesn’t respond they hit him with the stimulation, which is usually set too high, and the dog takes off,” he said. While too much stimulation at the wrong time can be detrimental to a dog, Dunn said there are times when it’s alright to bump the collar up to the next level. While initial training is important in a dog’s development, Dunn said it isn’t permanent. As time goes on, dog owners should be prepared to reintroduce and revisit many of the same training techniques they used during the puppy years. But if the initial training was done properly this refresher will go much easier, he said. “Dogs aren’t like computers. Even dogs that compete at high levels of competition go back for refresher training,” Dunn said. Rob Dunn is a Senior Staff Trainer at Triple Crown Dog Academy. He has worked as a professional trainer for nine years. He currently specializes in training dogs for law enforcement as well as obedience training and agility. Note: SecurePets carries several Dog Shock Collars to fit every situation.